This post links to RAnn's Sunday Snippets. It has been more than a year since my last post on this blog. I apologize to the handful of readers who were following this blog for my sudden disappearance. The turn of events I’m about to recount took a lot of my time and focus. I started writing this post on 22 August, a humble offering to the Blessed Virgin Mary, our Queen and Mother, on the feast of her Queenship. 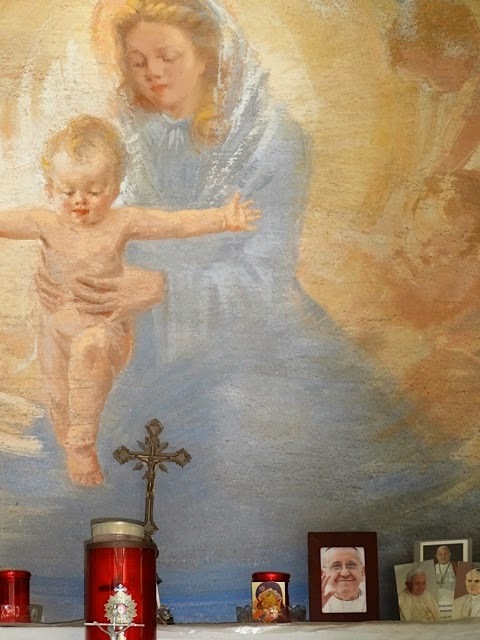 I hope to post this in time for the feast day of her Nativity on 8 Sept. Then just around the corner is the feast of her Holy Name on 12 Sept, now a special day for our family, for reasons this post will explain. I started making my first sketches the next day, 3 June. 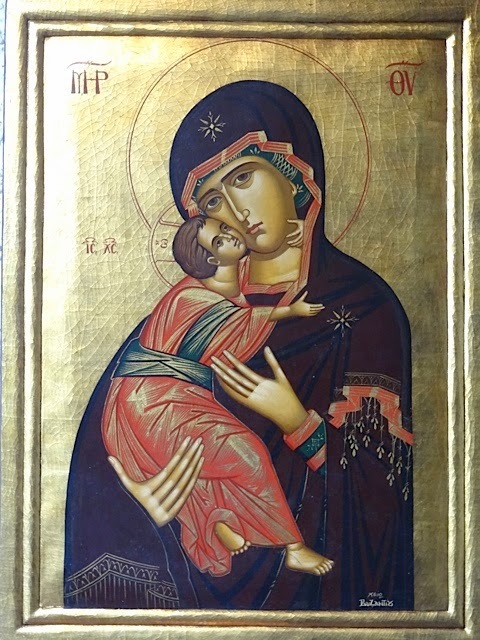 Later, as I did some research about icons, I learned that this type of icon showing the Blessed Mother and the Child Jesus cheek to cheek with His arm around her neck is an Eleusa Theotokos (Mother of Tenderness). By coincidence, 3 June, the day I stared the first sketches, was the one of the three feast days of the Theotokos of Vladimir (the Vladimirskaya), the famous Eleusa Theotokos icon credited for saving Moscow from invasion several times in it’s history. (This particular feast day is 21 May in the Orthodox calendar and 3 June in the Gregorian calendar.) I did not know anything yet about painting icons. 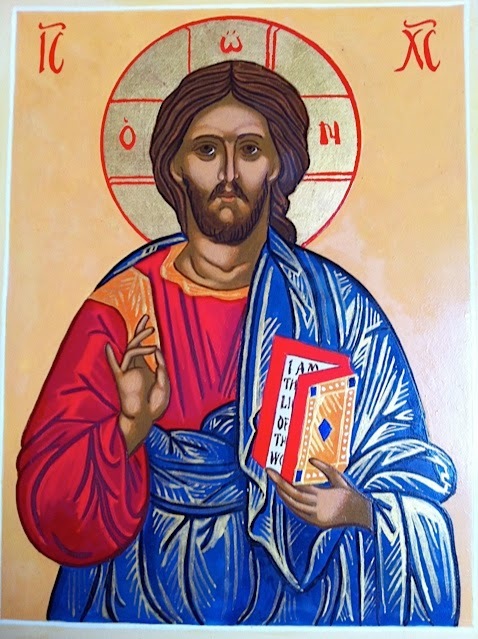 I found an icon painting course, but it didn’t start until August. I felt I could not wait two months. If I skipped some days without doing some work on the image, I would dream about it at night. I decided I’d have to try going forward with the work as soon as possible, without the course. I found plenty of help on the Internet. (Thank You, God, for creating man with enough intelligence to create the Internet!) There were lots of websites about icons and YouTube videos about how to paint icons. I also found a very good book called “Techniques of Traditional IconPainting” (by Gilles Weismann) from amazon. I worked with acrylic paints on canvas which I already had at home. (Traditional Byzantine techniques involve using powdered tempra pigments and egg emulsion on wooden boards. I would later learn to work with these through the icon painting course.) Coincidentally, I finished the icon on 22 September, the feast day of St Mauritius, patron saint of our parish! It took a long time, 3 ½ months, from start to finish, because we were away for the summer holidays. Also, I would often hesitate to start a new stage because I would be afraid of making mistakes. Then I would wait a few days, sometimes 1 or 2 weeks, until I felt ready to go forward, praying always that God would guide my hands. Our parish priest blessed the icon for me on 25 Sept. I didn’t tell him the story how it all came about. (That would come a few months later.) In any case, on 27 Sept, two days after the blessing of the icon, we moved across the canton to our new home in a new town. Actually, the picture I painted (or should I say, painted through my hands) does not look exactly like the icon in the chapel. I think her eyes look sadder, more pensive. I had done many sketches, and she always looked sadder than in the original. One day, while I was working on the image, I asked the Blessed Virgin why this was so. A few minutes later, I opened my Pieta prayer book. The page I randomly opened to read that she had spoken to Berthe Petit on 25 March 1912, “I have called myself the Immaculate Conception. To you, I call myself Mother of the Sorrowful Heart. This title willed to me by my Son is dear to me above all others.” It seemed like an answer to my question. I make a small aside here about finding our new home. We had been searching for a house for almost 3 years. Almost every weekend, we were crisscrossing Canton Zürich to visit houses advertised on the Internet. We had given up hope of ever finding something that we could afford. I have a great love for the Camino, which is known as the St Jakobsweg in Switzerland. 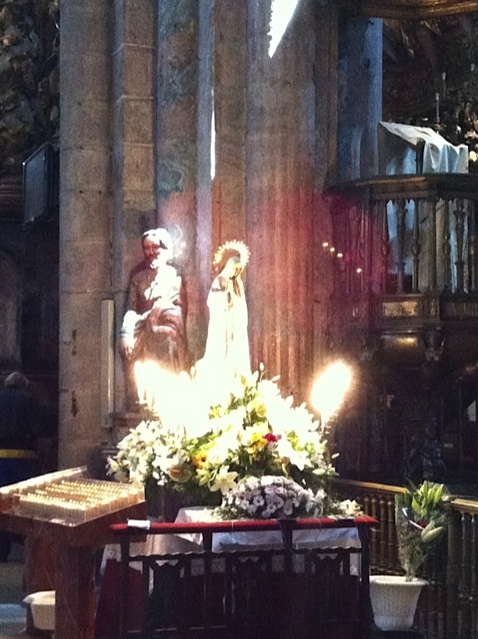 (I wrote about my first Camino in this post.) One day, on a whim, I thought, wouldn’t it be great if we could live near the Camino. Funnily enough, it turned out that region where the Camino goes through Canton Zürich was actually very attractive in terms of house prices and commute times. (Who knows why we hadn’t thought of it earlier.) One month after the “conversation” with the icon at the First Communion Mass, on 2 July, we found our future home. The house is about 3 km away, as the crow flies, from the Camino. (It was only the second house we viewed using the Camino criteria. I can literally say that the Camino de Santiago led me home. Thank you, St James!) Deciding to buy the house was not easy. Very soon after, we found out that my mother-in-law was ill and perhaps it was not a good time. However, in the end, after a lot of cost-benefit analyses (me and my husband) and a lot of prayerful deliberation (me), we went ahead with the purchase. The seller was an English family who had already moved back to the UK. The only day possible for the husband to come to Switzerland for the appointment with the notary to finalize the sale was 12 September. Only a few weeks after did I realize that we had finalized the sale on the feast of the Holy Name of Mary! My husband thinks I am crazy when I tell the story like this. Can the Camino and the experience with the Blessed Virgin really have anything to do with finding the house? In my heart I feel that it was not just chance or coincidence. In one of his homilies, the priest of our new parish said that there are no coincidences, just the hand of God. I also love that quote attributed to Einstein. “Coincidence is God’s way of remaining anonymous.” In any case, any time you read “coincidence” in this post, what I really mean and believe is “by the Hand of God”. Sometime in March 2014, about six months after we had moved, I was pondering the turn of events set off by the experience with the Blessed Virgin and her icon when I remembered that she had asked me to paint the image and spread it. I realized that I had only done half the assignment. 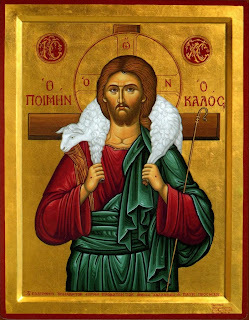 (The icon hangs in our attic, where I have a little prayer room. My husband is an atheist, and he wanted no religious images in the house, except in the attic. Almost no one ever sees the icon.) So I decided to print some prayer cards, about the size of a business card, with the image of the icon in front and the Hail Mary in German printed on the reverse side. I thought that I could leave these cards in churches and give them out to people when the chance arose. Coincidentally, the first batch of cards arrived from the printer on 25 March, the feast of the Annunciation! I sent some of these cards to the parish priest at St Mauritius, our old town and the parish where the original icon hangs, along with a letter recounting the story. He was very happy to receive the cards and asked if I had more. I ordered another batch of cards German. I showed them then to my mom, who then asked if she could have them in English. So I made more. All together, there are 3000 of these cards making their way around Switzerland, the United States, the Philippines, along the last 100 km of the French Way of the Camino de Santiago de Compostela (that's a story for another time), and the Vatican. Over Ascension weekend this year (end of May 2014), my family and I headed for Cannobio, a little town on the shores of Lago Magiore in Italy. Cannobio is close enough to Switzerland that the drive is doable for the kids, and far enough into Italy that the pizza is excellent and cheap. There are lots of little roadside chapels scattered about. 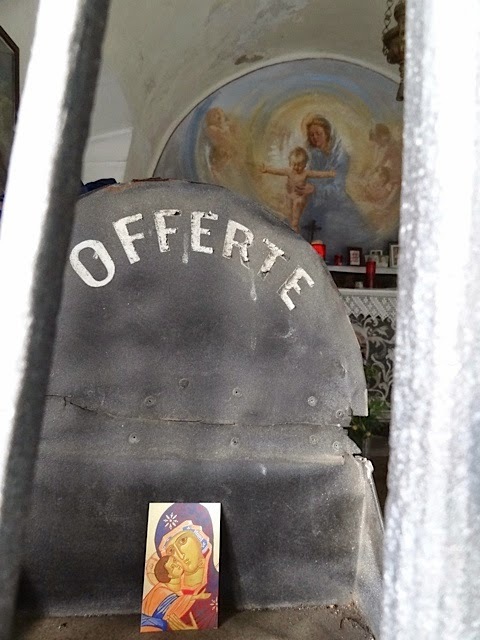 On the day we arrived, I slipped a card past the grill of the locked gate of a chapel dedicated to Our Lady of Grace (see this post for why she is special to me). The next day, the caretaker had taken the card and placed it on the altar beside a picture of Pope Francis. (At the time, I was coincidentally doing a Pentecost Novena of Pope Francis.) I was so happy. I decided to send my last box of cards to the Pope. 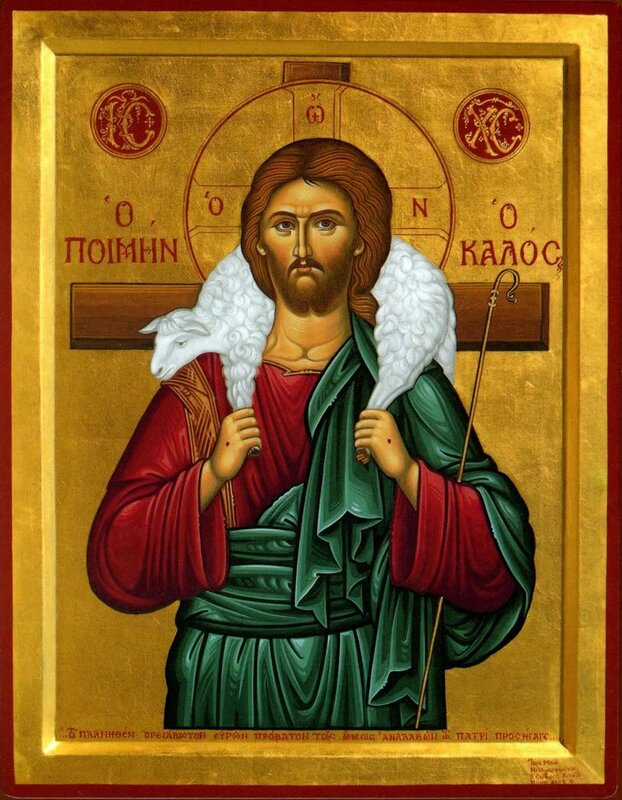 When we got back home to Switzerland, I started composing the letter to Pope Francis recounting the chain of events set off by this icon. I was sending him a box of prayer cards, asking if he could help me carry out my “assignment” to spread the image by perhaps giving them away to the pilgrims who come to visit him. It was only when I dated the letter, 2 June 2014, that I realized that, coincidentally, it was exactly a year to the day since the “conversation” with the icon during the First Communion Mass! How appropriate and perfect. The last weeks of June and July sped by with all the end-of-the-year activities. We were then away for the summer, off to visit family. 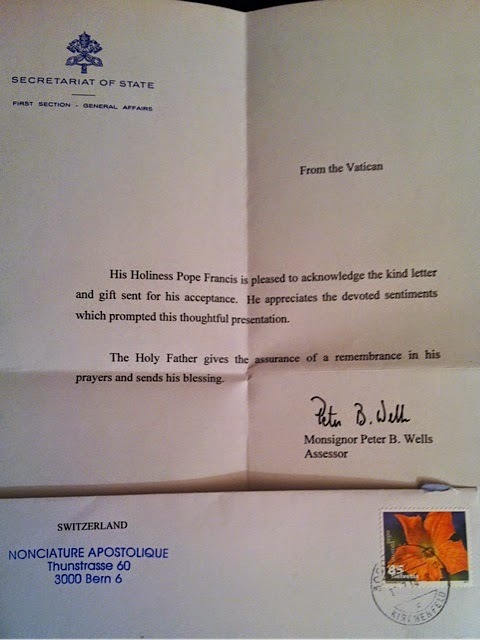 Upon our return to Switzerland in mid August, there was a letter from the Vatican. The Blessed Virgin’s prayer cards made it past the Swiss Guards! My husband disparages it as a generic form letter. I of course believe that Pope Francis read my letter and that he won't be entirely surprised when I turn up in the Vatican in a year or two with an icon of St Francis for him. (In my letter, I told him that I would make an icon of St Francis of Assisi for him and that I hoped to make a walking pilgrimage on the Via Francigena to deliver it. Coincidentally, the patron saint of the parish I hear Mass at most often is St Francis of Assisi.) Anyway, since Pope Francis is waiting for me, I had better start working on that St Francis icon and saving up for that trip! Looking back on the past year, it has been an extraordinary adventure that the Blessed Virgin led me and my family on. I don’t know yet where the road goes from here. Whatever triumphs and trials and joys and sorrows the road ahead brings, I pray that the Blessed Virgin continue to intercede for us (and I mean "us" in the wider, universal sense of "us") and continue to love, teach, nourish, protect, and lead us ever closer to Jesus. Through Mary to Jesus! PS. If any of you have a favorite icon or depiction of St Francis, would you please share it with me? PS. If you have a blog or a Facebook page, would you consider sharing a link to this post to help with the "assignment"? Thank you! PS. 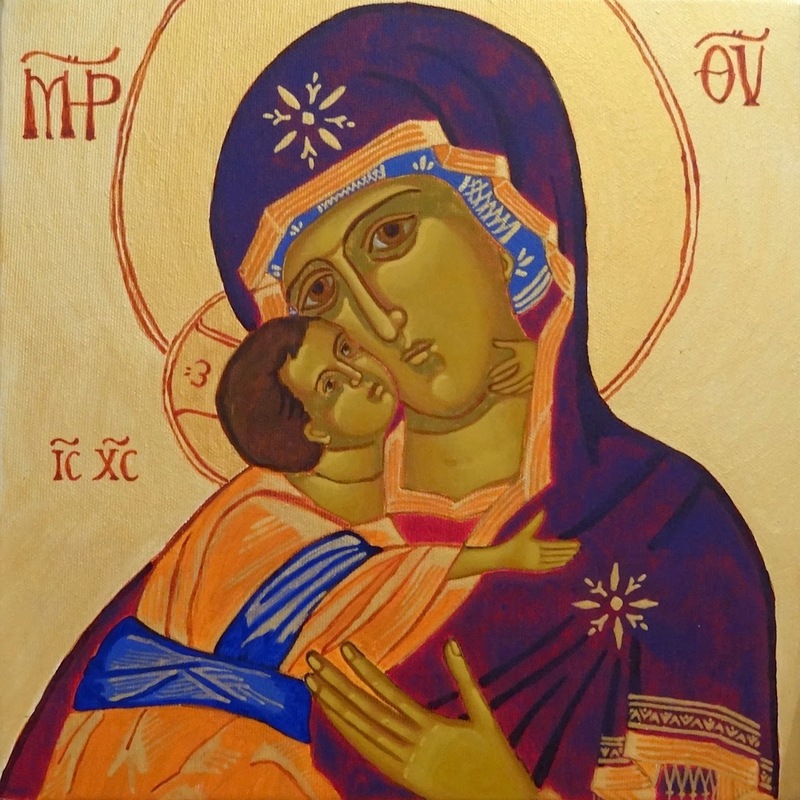 Thank You cards (in sets of 8) with the image of the Eleusa Theotokos icon are available through the Donation Center of the Spiritual Army of God the Father. All proceeds go towards supporting the various outreach activities of this ministry. The icons I painted in my icon painting class, under the guidance of Susanne Guler, the most amazing teacher. All one really needs is a good teacher and a bit of patience. 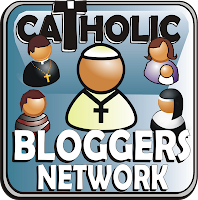 the Catholic Bloggers Network Link-Up Blitz. This Sunday was the First Communion Mass for the 2nd graders. There was no parking at the Church, and overflow parking was at the shopping center. It was drizzling. I half drove home. But at the last minute, I drove back towards the Church. It’s the second time I’ve done this in the last few days, where I’m deliberating not going to Mass, and then change my mind at the last minute. On Friday, I was not planning to go to Mass after dropping Olive at playgroup as I usually did. I intended to go straight home and go for a run instead. In my mind, this justified going to playgroup looking like a dog’s dinner. I had washed my face, brushed my teeth, and pulled some random bits of clothes on. Hadn’t bothered combing my hair. Just pulled it into a quick ponytail. After dropping Olive off, suddenly, I decided I’d go to Mass. I was so happy that I did. Afterwards, I dropped by the Parish Office to pick up some envelopes for sending invitations to the children in my catechism class for our year-end Mass. Rolf, our catechism coordinator, was unusually jolly as he helped me stamp the envelopes. I felt so good about having gone to Mass. 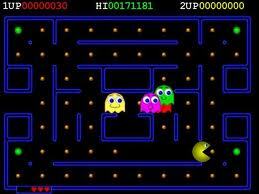 Sometimes, I feel that God’s graces are like the pellets in Pacman. They’re all around us, ripe for the picking. And going to Mass was like eating a Power Pellet. Power Pellets gave Pacman super powers and gave him immunity from Blinky, Inky, Pinky and Clyde. I floated on my Power Pellet high from having gone to Mass until I caught a glimpse of myself in the elevator mirror when I got home. I looked absolutely frightful. Straggly bits of hair all over the place, shapeless rain jacket thrown over a wrinkled cardigan and a faded pair of jeans. Perhaps that’s why Rolf was chuckling. I was mortified and vowed never to go out so carelessly again. I dressed more carefully this Sunday. I was still wearing a faded pair of jeans. (I hate shopping for jeans, so all of them are faded.) But my hair was combed and I had some lipstick on. The rose-shaped coral earrings Ross brought me from Erice matched the floral motif of my scarf. I had my favorite red suede ballerina flats on. I didn’t want to get my shoes wet and I didn’t have an umbrella. When I got turned away from the Church parking lot, I thought it would be most practical to simply go home. After all, the overflow parking was a ten-minute walk away, and I would arrive late anyway. And it looked like rain. But then, like last Friday, I changed my mind at the last minute. I was well on my way home when I did a U turn and headed back for Church. Perhaps it is Fear of the Lord kicking in. I had finished a 9-day Novena to the Holy Spirit on Pentecost Sunday. It is my favorite Novena. “Please send me some of those Gifts, Holy Spirit,” I had prayed. In particular, I prayed for more of my particular favorites: Wisdom, Understanding, Counsel, Fortitude, and Knowledge. To me, these represented qualities of strength. Oh, I could certainly use some of those. I wanted to be strong and fierce, like I imagined St Paul was. I hadn’t been particularly praying for either Piety or Fear of the Lord. They struck me as weaker qualities, and I was weak enough already. In particular, I was not too keen on Fear of the Lord. I don’t like the word “fear”. I had already confronted and struggled with so many different flavors of fear in the last two years and did not feel like asking for any more, even if it was a good kind of fear. However, if I gave some thought to why I made those U turns to go to Church, I realized that it was indeed Fear of the Lord. I felt that the Holy Trinity would be disappointed in me if I had a chance to go to Mass and chose not to. I didn’t want to disappoint them. My first reaction, on the realization that perhaps I was had been granted an extra dose of Fear of the Lord was, “Aww, come on Holy Spirit. Why that one?” But then, one should not look a gift horse in the mouth. Later, I came across Psalm 111:10. “The fear of the Lord is the beginning of wisdom; A good understanding have all those who do His commandments; His praise endures forever.” So perhaps I just have to be patient. Perhaps Fear of the Lord is a necessary foundation and prerequisite for the good stuff. I trust that God heard my prayer, and that if it is for the good of my soul, He will grant it, and that He knows what He is doing. In the meantime, my heart sings songs of praise and thanksgiving to Him. After finding a parking spot some blocks away, I was 15 minutes late for Mass. It was packed. On a normal Sunday at our parish, there are about 5o-70 people at Mass. Today, for the First Communion of the 2nd graders, there were about 500 people. I tried several entrances, and I could not make it through the doors. It was standing room only, with people packed shoulder to shoulder. Again, I thought about going home. I thought, perhaps it is the more generous thing to do, to go home and leave the families of the celebrants to their occasion. I thought I’d just drop by the little chapel on the side where the weekday Masses were held. Perhaps I could spend some time in prayer there before going home. When I got there, I found that they had removed the partition such that the little chapel opened into the main hall. It was also full, but there was just enough room for me to squeeze in. By chance, in a tiny random pocket of space framed by heads and shoulders of the people in front of me, I had a perfect view of the altar. I loved how Don Piero, our parish priest, told the children that when Jesus prayed the Our Father, he addressed God as Abba. Or Papi. And that we should think of God not as a distant father, but as a loving and affectionate Papi. I could not make it through the crowd to get to the line for Communion. But I was thankful for the spot I was standing on and prayed for the First Communion celebrants. I think God must have been pleased to see His house so fully packed. On the way home, I stopped by the petrol station to pick up our normal Sunday treats. Plain croissants for Ross, chocolate croissants for the kids, and a loaf of bread for lunch. I was under strict instructions to buy one chocolate croissant for each of the kids this week. (Last week, I had bought two to share among three kids, and it caused a lot of tears.) As I pulled out of the parking lot, I had a strange dream. (What do you call a dream when you are wide awake when it happens?) This is my body, which I give unto you. I had the impression of a man robed in brilliant white offering me a Host from a golden bowl. (I didn’t “see” it with my physical eyes. My eyes were looking at a normal scene of a petrol station on a Sunday morning.) It was the sound of my own voice saying “Amen”, as I received the Host and reflexively made the sign of the Cross that jolted me out of the dream and made me think that perhaps something out of the ordinary had transpired. Did that just happen? Where did it happen? In my car? In my head? I looked around me. I was driving my car out of a parking lot. How strange, I thought. I remembered that I hadn’t received Communion at Mass. I couldn’t make it through the crowds. But now it somehow came to me in a dream. I contemplated whether to post this on my blog, or to keep this experience to myself. In the end, I feel that I am meant to share such experiences with others, for the greater honor and glory of God. 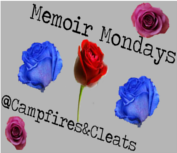 This post links to RAnn at This That and Other Things' Sunday Snippets and Chris at Campfires and Cleats' Memoir Mondays. Thanks for hosting, RAnn and Chris! St Expeditus' feast day is celebrated on April 19. St Expeditius and I first met by the petition table at our parish a few months ago. There he was, with his generous head of tight dark curls, wearing a wide red cloak and Roman soldier uniform, holding high a Crucifix with his right hand, and a palm frond in his left, stepping on a black crow, on pocket-sized prayer cards arranged neatly in a fan. I love freebies. Whether it’s sachets of Nescafe at the train station, or shampoo samples in a magazine, or prayer cards of a new saint I want to recruit into my holy posse. Trying to read the prayer on the back, it took me a second and a half to remember that I don’t any know Portuguese. I slip a card into my purse, where it slowly drifts down the dark, murky depths, promptly forgotten. On a Friday afternoon several weeks later, I empty my purse on the dining table, determined to figure out, once and for all, why it is so heavy. I find the old batteries meant for the recycling bin, 14 receipts of varying lengths and degrees of crumpledness, 6 rocks and 2 1/2 twigs from Olive, 2 Polly Pocket dolls (one brunette, one redhead), 18.75 Swiss Francs in coins in my wallet, Ross’ missing glove, a shriveled French fry, and St Expeditius. On the internet that evening, I find out that, like St Judas Thaddeus, St Expeditus is called on for urgent cases, and is the patron saint of students, examinees, and success in lawsuits. I wish that I had known about him earlier. Two weeks earlier, Luke had taken a terribly important, life-or-death exam, the results of which would dictate whether he entered the university- or vocational-track high school. (I still think it’s cruel that the Swiss school system imposes this exam on the kids at 6th grade. They’re only 12 years old!) The results had come in the mail that very morning. Luke was devastated that he hadn’t passed, as were Ross and I, though we made sure not to show it. One of the St Expeditus websites had a petition page. 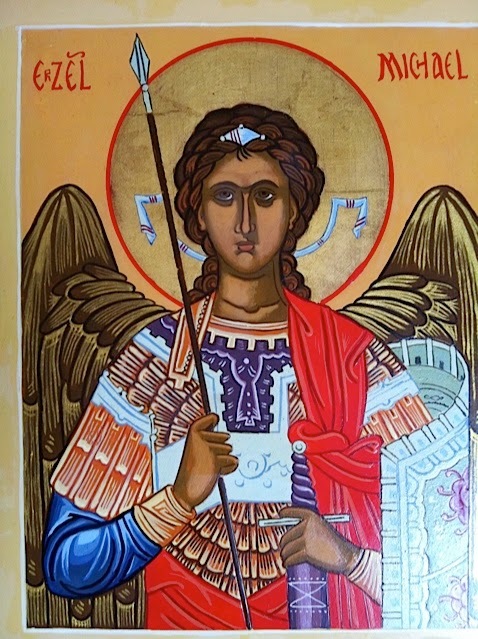 I wrote a petition asking for St Expeditius’ help in making sure that Luke turned out alright, despite not getting into the university-track high school, as well as for help for my mum, who was has been embroiled in a long-running legal battle with a former employee who had robbed her company blind. The following Monday, we were allowed to view the exam papers. Ross, Olive, and I spent four hours that afternoon at the high school, attempting to make a case for the two additional points that Luke needed to make the cut. (Luke himself was at home, too despondent to come.) We managed to wrangle an additional point in the math exam, conceded very grudgingly by the instructor. There was not much we could do with the German parts, as neither Ross nor I (nor Olive) could claim any degree of proficiency. We queued up three different times to ask for Luke’s German essay to be re-evaluated. Three different instructors said that he received a fair grade, and they could not justify any additional marks. And while she was a good sport at the beginning, around two hours in, Olive is writhing around on the floor, in the death throes of boredom, sobbing, “Why are you doing this to a little child? What kind of parents are you? I’m only 4! This is not a place for little children!” (And indeed, she is right. We are bad parents. There are no other 4-year-olds there.) We went home quite deflated. Ross and I arranged to meet with the headmistress at Luke’s primary school. She reminded us that Luke would have a second and third chance to test into the university-track school, in two- and three- years. While she reassured us of the quality of the vocational high school, she did recommend that we look into a private Catholic school that had a curriculum tailored to helping students test into the university-track school in 8th and 9th grade. I immediately liked the idea. Ross, who tends to view anything remotely religious with great suspicion, was also surprisingly onboard with it. The “only” question was cost. The monthly fees for private school in Switzerland are as much as the rent on our apartment. In my mind, I decide that I’d go back to work if that’s what it took. On Easter Sunday, I receive an email from Uncle V. He’s wishing all of us a Happy Easter. He says he had an inner discernment that we should look into private Catholic school for Luke. It would offer a more structured and controlled environment, which would suit someone of Luke’s temperament. That’s really amazing, I think to myself. Those were the words of the headmistress, verbatim, and Ross and I hadn’t told anyone anything about that. Don’t worry about the cost, Uncle V says. The Lord will sort that out. I spent most of the following Wednesday morning (Easter Monday was a holiday, preparing for catechism class takes most of Tuesday) painstakingly writing a letter in German to the rector of the private Catholic school, requesting an interview. Maeve had a play date with a classmate of hers that afternoon. On coming home afterwards, I peered into our mailbox as we went into our apartment building. Strange. I could see there was a letter. I had already picked up the mail in the morning. Did the post come a second time? I could see that it was from the high school. I didn’t have my key, so I rang the bell for Luke to buzz us in. The girls and I went up, I fetched the mail key, and went back downstairs. We were expecting the school to send us an updated grade for Luke, to reflect the additional point we had wrangled that afternoon at the high school (which we already knew was still not enough to get him in). Just before I turned my key, I prayed, “Lord, I trust in the goodness of Your plan for Luke. Your Will be done.” Of course, in the natural, prayer at this stage of the game is not going to do anything. The letter sitting in front of me was printed 3 or 4 days ago. My praying at that moment wasn’t going to change what was written in it. But God’s ways are not our ways. As Joel Osteen says, we serve a supernatural God!